October 14 2015, 1:38 p.m.
CLARA HILL IS CERTAIN the boys didn’t kill anybody. She has known since she was 14 years old – almost three decades ago. But when she tried to tell police the truth, she says, they hurt her. It was the spring of 1987, when Hill was seized by the Detroit Police Department and dragged to a dark room to be questioned about the murder of a young man named Leonard Ruffin, shot to death in front of a crack house in the West Side of the city. Three of Hill’s teenage friends, who managed the crack house with Ruffin, were being accused of plotting his murder. But Hill insisted that this wasn’t true. She was with them at the time. But it didn’t matter. Clara Hill pauses for a portrait at a local park on Wednesday, Sept. 23, 2015 in Dearborn, MI. Hill says the cops wanted her to pin Ruffin’s murder on her friends, who were connected to the biggest players in Detroit’s crack cocaine business. Despite the abuse, Hill says, she never budged. Eventually, after her father went to the police station to look for his daughter, detectives removed her from the dark room and dropped her off at her parent’s home, warning her that they would be watching. Fearful that she and her family were in danger, Hill ran away, deep into the city’s violent, underground drug world, where she fell in with a motorcycle gang. She stayed with them for years, developing a serious crack cocaine addiction and haunted by the knowledge that her friends had gone to prison for a murder she was certain they did not commit. Under the protection of the gang, which she says even included some former Detroit officers, she evaded the police; but she says the gang committed its own violence against her — she fled after she was raped. Hill struggled to raise children and hold down a steady job while nursing her drug habit. Today she’s clean, but she still lives in debilitating fear that somebody — police, or an old enemy from the drug world — could hurt her and her children. Of the three homicide detectives who interrogated Hill, one was a strapping police sergeant who, according to his self-published memoir, boasted one of the highest homicide conviction rates in the department: Detective Ronald Sanders, a man with a reputation for extracting information from witnesses through brutal means. Such tactics were an open secret in the streets of Detroit for years. But over the past ten years, fifteen people have signed affidavits that provide rare documentary evidence of police abuse during the crack era. 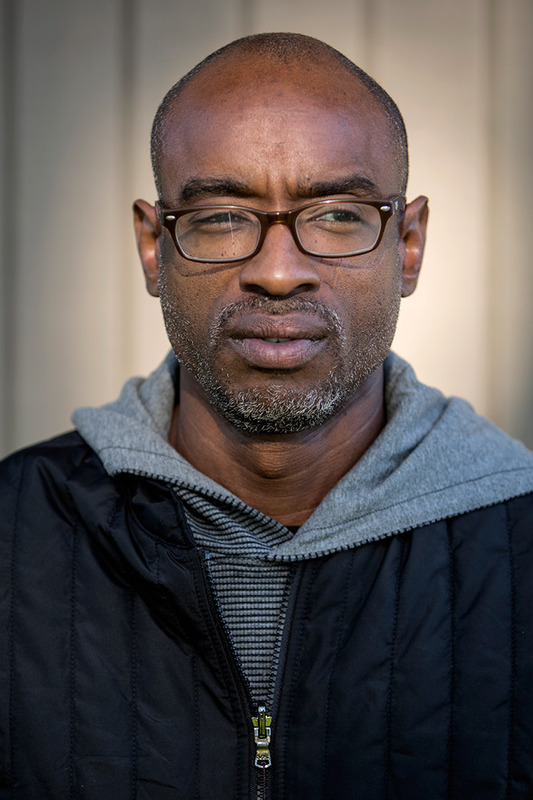 Most of the affidavits come from men currently incarcerated for murder — as well as witnesses in the Leonard Ruffin case — who now recant statements given to law enforcement decades ago, saying they were extracted by police through brutal means. Together, they cast Detective Sanders as a leading figure in a system of coercion linked to over a dozen murder convictions spanning from 1985 to 1993. The documents, which were provided to The Intercept by a private investigator, are unlikely to overturn the murder convictions they appear to undermine. But they provide a damning window into the collateral costs, still unaccounted for, of the drug war in Detroit during the crack cocaine years. As the drug ravaged inner cities during the 1980s, pushing the nation into a social hysteria, the war to combat it was more than a metaphor; police became frontline soldiers, and the predominately African American ghettoes were their battlegrounds. In Detroit, many drug-related convictions were won on flimsy evidence and brutal tactics, the kinds of methods that lead to wrongful convictions, while leaving collective trauma in their wake. For people like Hill, the effects linger, borne of behind-the-scenes police brutality that left wounds which have not healed. CRACK IS MADE by boiling powder cocaine and other chemicals into hard rocks, and its arrival was a revolution in the 1980s drug scene. Both the ease with which it could be prepared and its ultra low price — typical sacks ranged from $5 to $20 – gave rapid rise to multimillion dollar drug operations in the hollowed out inner cities of America, where blacks had increasingly become the predominant population. As the U.S. transitioned from a manufacturing to service-based economy, unemployment in those poor urban pockets soared. Detroit was particularly devastated. In the country’s former manufacturing hub, upwards of half of the city’s black men were out of work by 1980 as the auto industry went abroad. After crack cocaine appeared around 1984, scores of young black men and women were roped into the crack economy. It was a violent business: Detroit’s homicide rate peaked three years later, as it similarly rose elsewhere. Murder and drug war frenzy in the political arena overwhelmed police in Detroit as well as those in cities like Chicago, New York, and Los Angeles. Samuel Gross, a Professor of Law at the University of Michigan Law School and co-founder of the National Registry of Exonerations, says there is no way to accurately estimate how many wrongful convictions resulted from police abuse. But he said exoneration data shows a pattern of “hotspots of misconduct” in certain jurisdictions from the 1980s and early 1990s, including Detroit. One person with direct insight about the Detroit police’s interrogation practices is Roy McCalister, a department veteran who became commanding officer of the homicide section in 1999, six years after Sanders retired. Today McCalister works in the Federal Defender Office. He acknowledges that detectives frequently used controversial methods to solve murder cases. But he maintains they were necessary. “The older guys who were seasoned homicide detectives, they knew how to cut corners and things of this nature,” McCalister said. “Sometimes you can’t play by the rules in order to bring closure to a family.” The strategy helped win convictions until a Department of Justice investigation exposed widespread violations of the Constitution and federal law, leading to two federal consent decrees in 2003. In the meantime, inevitably, all that rule breaking resulted in many convictions based on questionable evidence. Of the 60 exonerations that have taken place in Michigan since 1993, almost half were cases tried in Wayne County, according to the National Registry of Exonerations. That’s likely a low gauge for how many people were convicted based on bad evidence. Overturned convictions often do not lead to formal exonerations, and shooting homicides, which were common in the crack years, leave few traces of DNA. Indeed, one study that reviewed 400 homicides cases from 2003 found that only 13.5 percent had physical evidence linking a suspect to a crime scene or victim, and DNA evidence was only collected in 4.5 percent of cases. DNA is even less common in shooting homicides, particularly in decades-old cases. All of these factors make it extraordinarily difficult to overturn an old shooting murder conviction, and innocence clinics with limited resources are often reluctant to take them on. Without DNA evidence, people wrongfully imprisoned in the crack cocaine era basically have to re-investigate their own cases, years after key witnesses may have died or moved away, to have any chance at exoneration. The biggest players in Detroit’s mid-1980s crack cocaine game were four brothers with the last name Chambers. The brothers moved to Detroit from Marianna, Arkansas, located in the hopelessly impoverished Arkansas Delta, and by the middle of the 1980s they had built one of the largest drug empires in the nation. Until their capture in 1988, the Chambers brothers employed hundreds of people – most of them very young — to maintain their multimillion dollar business. They became so infamous that then-Governor Bill Clinton would mention them at the 1988 Democratic Convention, as a testament to America’s lack of opportunity for poor, driven young people. In 1987, Detroit police were under intense pressure to eradicate the city’s burgeoning crack ring and apprehend the Chambers brothers. But they had been frustrated in their efforts. Then, in May, a promising lead seemed to surface after they discovered the body of 20-year-old Leonard Ruffin in an alley. Ruffin had been just a few days into his employment by one of the brothers, Billy Joe Chambers, who paid teenagers to maintain about a dozen crack houses across the city. Like many who took up such work, Ruffin came to it by word of mouth: His close friend, Danny Burton, 19, worked alongside two teenagers — David Owens and Paul Young — to manage the cash going in and out the crack houses. For this their average salary was a thousand dollars a week. In the spring of 1987, Young introduced Ruffin to the workers at one of their houses as its new manager who would drop off crack rock and pick up cash. Barely a day later, after a transaction in the early morning hours of May 2, Ruffin was shot to death as he walked from the front door of the house to his car. His business partners — Owens, Young, and Burton — were charged with the murder. THE OFFICIAL STORY behind Ruffin’s murder defied logic from the start. There was no clear motive or explanation offered in court for why the three boys would want to kill the guy they had just hired to work with them. Ruffin was only carrying $240 worth of crack when he died, and the boys were surely sitting on much more. And multiple people described Ruffin as a close friend of Burton, whose blue Pontiac Trans Am he was driving the morning he was murdered. Young and Burton were tried together first, having been arrested within days of each other soon after the murder. Prosecutors relied on eyewitness testimony from four people who were inside the crack house when the murder happened, among them Lula Gilchrist, who rented the house, her 17-year-old daughter Felicia, and Andrew “LaVon” Williams, Lula’s brother who served as the doorman. LaVon and Lula were especially damning witnesses, claiming that they drove with Owens, Young, and Burton to dump Ruffin’s corpse, which had been found by police in an alley. Yet their testimony was wildly inconsistent and contradictory. The four witnesses seemed unable to agree on a basic chain of events, from the manner in which Owens, Young, and Burton supposedly ambushed Ruffin to what happened immediately after the killing. Even if they were honestly telling the court what they’d seen, their eyewitness accounts may well have been faulty: Misremembered eyewitness identification is the greatest contributing factor to convictions that have been overturned by DNA testing, according to the Innocence Project. But there may have been more at play than bad memory. Compounding the strangeness of their mismatched testimonies was the apparent fact that neither LaVon nor Lula were ever investigated by police for their possible role in the murder, even though both of them admitted on the stand that they helped move Ruffin’s body. Lula still lives in Detroit to this day; LaVon’s whereabouts are unclear. In his interrogation by police, Young insisted that, on the night of the murder, he was staying in a hotel with Owens, Burton, and Clara Hill and that they only found out about the murder from Ruffin’s cousin, who was with him when he was shot and then fled the scene. He, Burton, Owens, and Ruffin’s cousin then unsuccessfully tried to get a taxi to the crack house, he says, before spotting LaVon and Lula driving the blue Trans Am along a main road. Young said he tried to tell this to police. But Sergeant Detective Ronald Sanders, who interrogated Young, refused to listen, instead successfully pressuring him to confess to the crime. As Young answered his questions, “[Sanders] interrupted me and said that’s not what happened,” Young testified during a motion to suppress the confession. In a transcript of the motion, which was obtained by The Intercept, Young described how after being denied a phone call to his mother at the station, he tried to give his account four or five times. Then, Young said, Sanders kicked him in the groin and isolated him in a small interrogation room – a room like the one Clara Hill would later describe to The Intercept. Sanders threatened him with more pain if he didn’t follow his script, Young said. After many hours, Young testified, he confessed to the murder out of desperation, thinking it was the only way he could escape the hulking detective. Although courts put a great amount of faith into confessions, the Innocence Project found that a quarter of people who have been exonerated by DNA evidence actually confessed or admitted to crimes they didn’t commit. And teenagers, usually more afraid and submissive than adults, are the most vulnerable to the persuasions of detectives hunting for confessions. In the motion to suppress his confession, Young, who was 17 at the time, said Sanders coached him through his statement, feeding him information and forcing him to start over when he said something he didn’t like. The judge ultimately threw out Young’s confession as inadmissible. 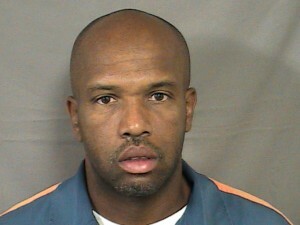 Yet both he and Burton were convicted of first-degree murder, based on the testimony from those in the crack house. They were sentenced to life in prison without the possibility of parole. David Owens has his photograph taken on Thursday, Sept. 24, 2015 at a park in Harper Woods, MI. Just five months after Young and Burton were convicted, in February 1988, law enforcement captured all four of the Chambers brothers after stumbling upon homemade movies, one of which depicted them flaunting their wealth. It was a huge blow to Detroit’s crack game. The arrest took place before Owens was tried; he had fled to Chicago after Ruffin’s murder. As Owens describes it, police seemed less interested in his case than they had been in Burton’s and Young’s. Despite the fact that Owens was the supposed triggerman, he remembers Sanders breezing through their interrogation. “He kept saying he didn’t care, that he had a date that night,” Owens told The Intercept. Owens’ trial featured many of the same witnesses who testified against Young and Burton. Yet his jury found their testimony unconvincing enough to drop his charges down to second-degree murder. He served just over 25 years in prison and was recently released. Also free are three of the four Chambers brothers — including the teenagers’ former employer, Billy Joe. Burton and Young, however, are still behind bars — and set to die there. IN 2002, A PRIVATE investigator named Claudia Whitman began receiving letters from Burton, who had been writing to anybody he thought could help him. Whitman, who directs an organization called the National Capital Crime Assistance Network, told The Intercept that Burton’s account of abuse by Sanders intrigued her, even though most of her work focused on death penalty cases. Whitman began looking into the Ruffin murder after corresponding with Burton for several years. Eventually she worked with Burton’s and Young’s families to locate witnesses in the case. Three of them — Lula Gilchrist, her now-deceased daughter Felicia, and Alfreda Jackson, a woman who was also in the crack house – signed affidavits explaining that Sanders coerced them into making false statements. Furthermore, Felicia wrote, Sanders paid her “forty to sixty dollars” on roughly ten occasions, and he threatened to have her children taken away if she did not cooperate. 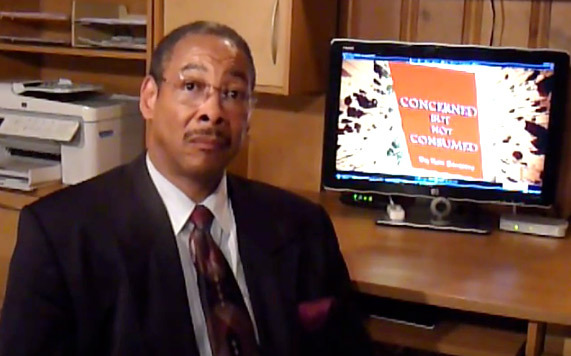 Though compelling, such recantations are not usually enough to overturn a conviction. In 2007, an attorney for Young filed a motion for relief based on these affidavits but was denied by a judge who found them unconvincing. The judge also wrote that the three recantations did not necessarily discredit the testimony of the fourth witness — the doorman, LaVon Williams – despite trial transcripts that show he was plainly the most incoherent witness of all. That’s where the additional affidavits in the Ruffin case, which include statements of three additional witnesses who did not incriminate the two men at the original trial, could make a difference. These include statements from Clara Hill as well as Ruffin’s cousin, DeAndre Bolden, who was in the car when he was shot, and Casey Rose, a 16-year-old friend of Felicia Gilchrist who was allegedly in her room at the time of the murder and did not testify at trial. Burton’s attorneys are planning to file a motion for relief from judgment with these new bits of evidence. But even with them, it is unlikely Burton’s motion will succeed. 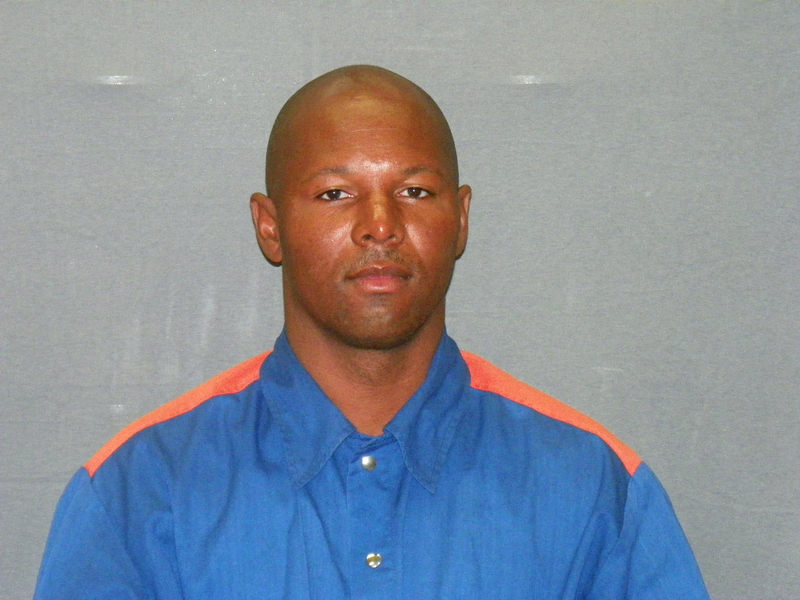 And the stakes are high: Because of a Michigan law limiting appeals, the motion is most likely Burton’s last chance to contest his imprisonment. The only way a motion like Burton’s could succeed, says Drizin, is if somebody makes a clear case that police abuse of witnesses and defendants took place. ONE PERSON WHO BELIEVES there are many others who could come forward to provide this information is Brenda Watson, who worked in a Detroit hospital in the early 1980s and also provided an affidavit about Sanders’ abuse. As part of her job, she admitted patients who had been disfigured by homicide detectives. One of them was a man she was dating — who she described as the “good cop” to Sanders’ bad cop role. Brenda Watson has her photograph taken on Thursday, Sept. 24, 2015 at her home in Detroit. The affidavits unrelated to the Ruffin murder — written by ten men, nine of whom were convicted in other crimes — provide corroborating accounts of such physical abuse, while also describing psychological terror inflicted by police, as well as reliance on questionable snitch testimony. One man named Darius Coleman, a prisoner who still maintains his innocence, wrote that Sanders forced a gun into his mouth and threatened to kill him unless he admitted to a murder. Another, Jesse Agnew, possesses receipts showing a key witness in his case was a paid police informant, a fact that was not disclosed at trial. Most of the affidavits describe a version of what Clara Hill recounted to The Intercept: being locked away with no food, water, or visits, and subjected to sustained physical and verbal abuse. By 2011, Claudia Whitman, the private investigator, had passed off eleven cases concerning abuse by Sanders to the Michigan Innocence Clinic for review. After initially agreeing to look at four of them, the clinic dropped them all. (David Moran, the clinic’s co-director, estimated that the organization ultimately litigates just 1% or fewer of the cases it receives, even though plausible claims of innocence are common.) To date, Whitman says dozens of prisoners have written her letters and/or provided evidence of abuse by Detroit police. The use of low-level torture by police to extract criminal confessions is the result of a legal system that privileges confessions, says Flint Taylor of the People’s Law Office of Chicago, which successfully litigated a series of cases involving systemic police torture by the Chicago Police Department. Indeed, the abuses of the Detroit police finally caught up with them when the Department of Justice imposed mandatory reforms under two federal consent decrees in 2003. Among other abuses, detectives were found to have illegally detained witnesses and imprisoned people in putrid conditions. They were mandated by the decrees to treat prisoners more humanely, cease holding people without probable cause, and update their use of force policy and training, and to document these changes. But the consent decrees could not address every scandal plaguing the department, including the hundreds of tainted cases in the Detroit crime lab, which was closed in 2008 following a state audit that found a 10 percent error rate in ballistic evidence. Almost three years later, the Detroit Free Press discovered that critical evidence in the lab lay among the rubble of the abandoned building, exposed to anybody who decided to walk in. Yet, for the tacit acknowledgment that shoddy detective work and serious abuses took place, there has never been an attempt by officials to either identify or rectify how many people were sent to prison based on bad evidence. In this sense, Young and Burton – as well as Hill, and countless others – remain faceless casualties of Detroit’s crack era. 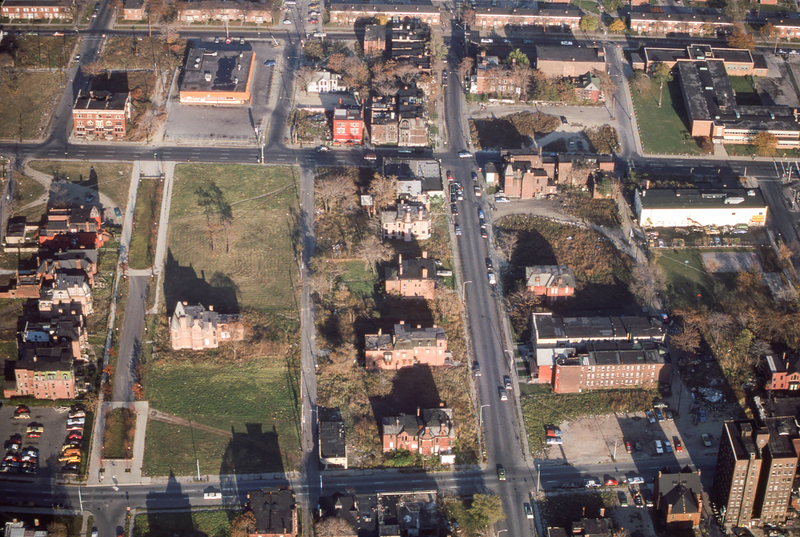 The block of Brush Street and Edmund Place in Detroit, 1980. IN RESPONSE to an email from The Intercept, the Wayne County Prosecutor’s Office declined to comment on the seventeen affidavits. Over the phone, Sanders denied all allegations in response to a detailed list of grievances against him, and he refused to further comment. In 1993, after serving the Detroit Police Department for 23 years, Detective Sanders suffered a severe stroke that left him with impaired balance and a speech impediment. At the time, he was “rising from local notoriety to national fame” because of a successful string of high-profile murder convictions, according to the motivational memoir he wrote years later. He has since purportedly become deeply religious, and he lives in a suburb of Detroit. 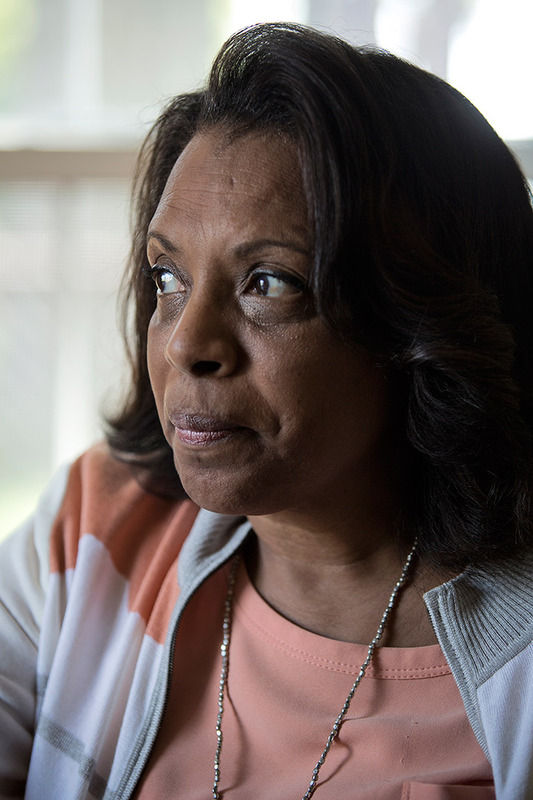 Like Burton’s family, Clara Hill, who evaded Detroit police for years after she was interrogated by Sanders, says she is still traumatized after nearly three decades. Even if Detroit police were held accountable for their actions, and any wrongful convictions overturned tomorrow, she would have little recourse to fix the mistakes she’s already made. John Thomason contributed to this report. Caption: Officer John Jenkins arrests a women, Jan. 29, 1990, Michigan, U.S.